In general accessing remote servers involve the terminal or remote control software. 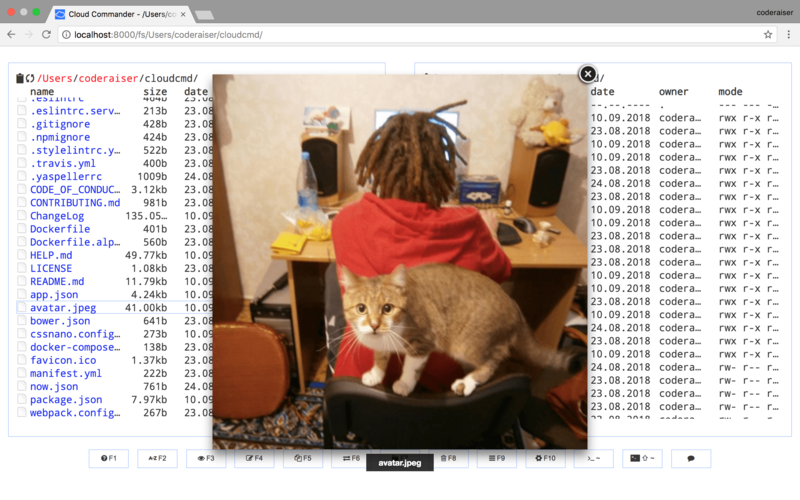 Cloud Commander is a web-based file browser running in the browser. It also comes with a console and an editor and can play multimedia. In addition to servers, Cloud Commander supports tablets and mobile devices too. File Manager features: View text files, images, play audio and video. Menu options include view, edit, rename, delete, pack, unpack, upload, upload to (Dropbox, Github, GDrive, FilePicker), download, new (File, Directory, from FilePicker), cut, copy, paste, (un)select all. --editor      : set editor: "dword" or "edward"
By default, Cloud Commander uses port 8000. Port 4430 is used for SSL communication. To access it locally, visit http://localhost:8000.